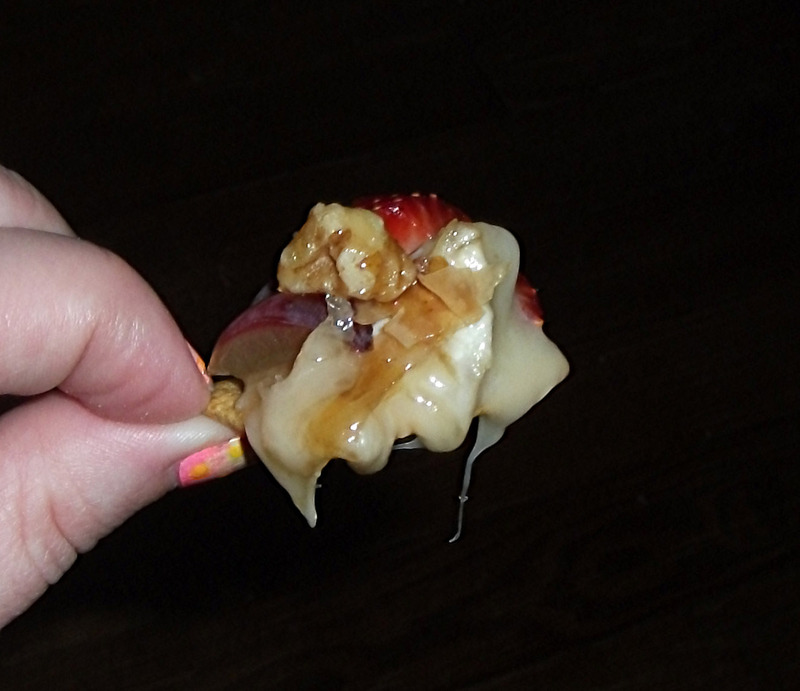 Baked brie is a favorite in our house. 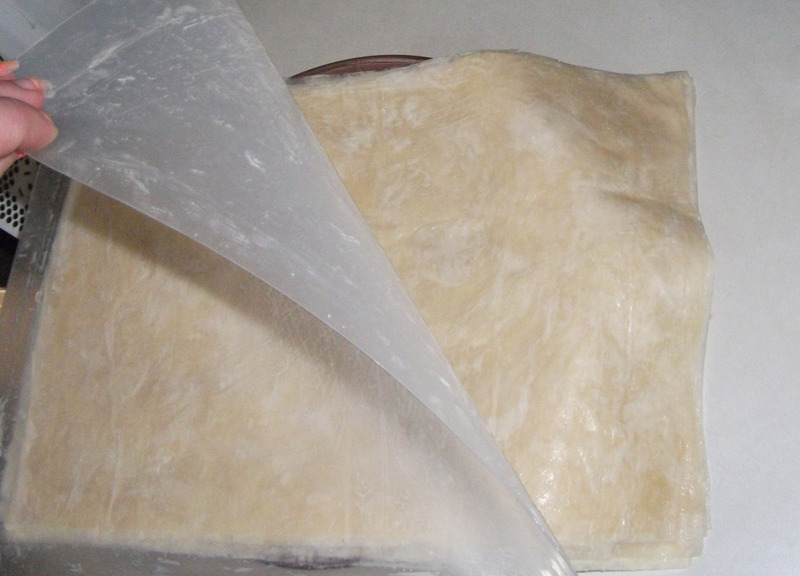 There are many ways to make the crust like the easy, quick method of using puff pastry, but I prefer phyllo dough. Sure you have to butter each layer… but that’s what makes it so good. You can serve it with a myriad of accompaniments. 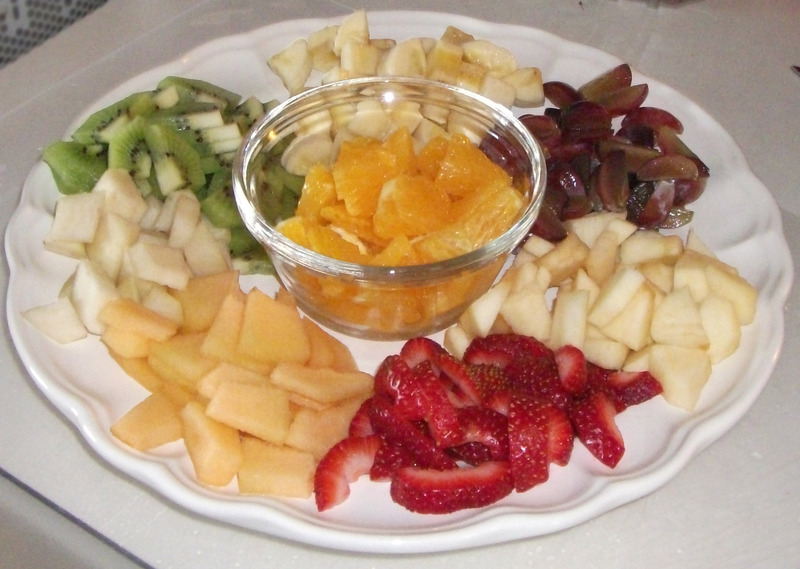 I like to make up a big plate of various fruits and serve it with wheat crackers. First you’ll need to set up your dough. Melt some butter. At least a half of a stick, maybe more depending on how much you slather it up. I go through a good two thirds of one just for this part. 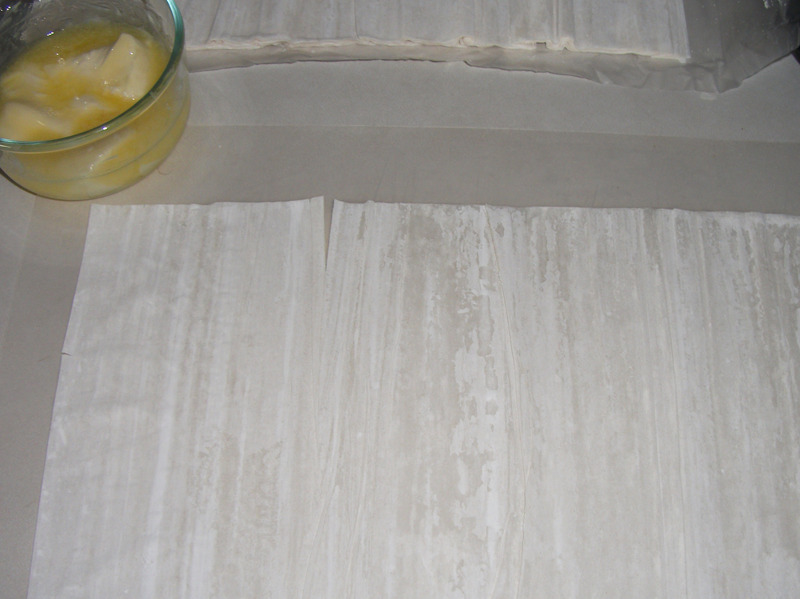 Place one sheet of phyllo dough down (I like to use a flexible cutting mat. You’ll see why soon) and butter that baby up. The whole thing. Lay another sheet on top of that one and repeat the buttering process until you have the whole stack done. (Two packages come in a box. You only need one of those.) The first few sheets will be fairly delicate. 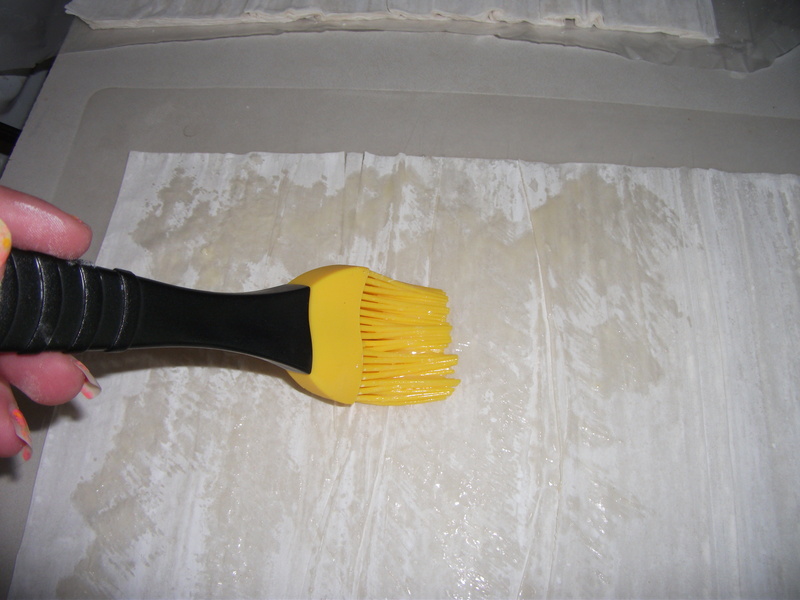 Once you have a few layered it gets a little more sturdy and easier to brush without tearing. Speaking of tearing, don’t worry too much about the dough ripping or separating. 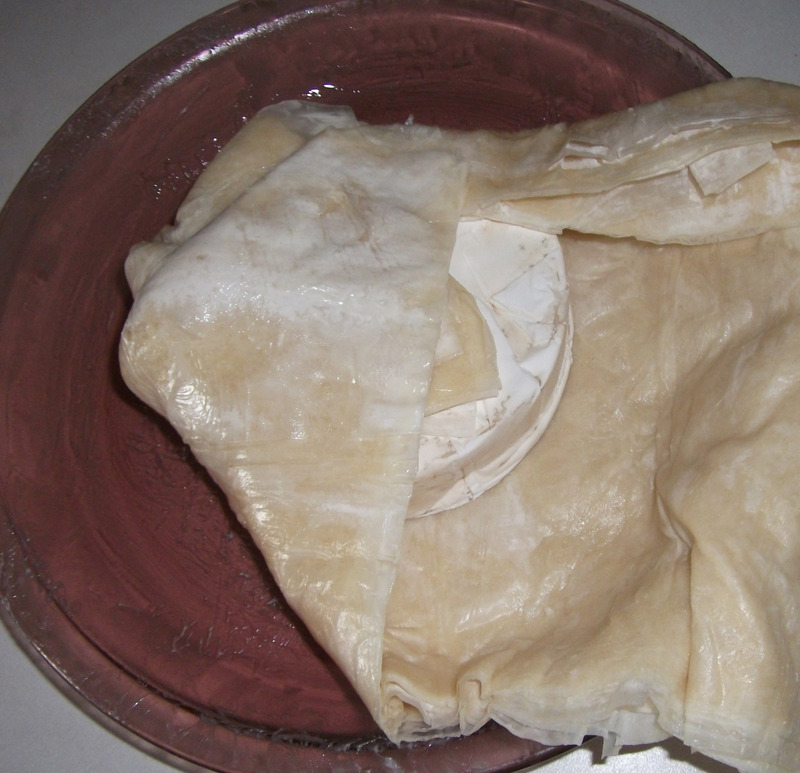 It mends easily once layered and it’s all going to get wrapped up around the brie anyway. Don’t worry about bubbles either. No big deal. In fact, air pockets add to the crusts flakiness. Next you’ll want to transfer your dough to a buttered pan. I prefer glass, but I’m sure whatever you’re used to baking in will work fine. Just keep an eye out for burning if you use some thin metal or something. This is where the flexible mat comes in handy. The whole thing can be picked up and moved without it, but it truly is easier to just invert and peel. Also you don’t risk tearing the dough. 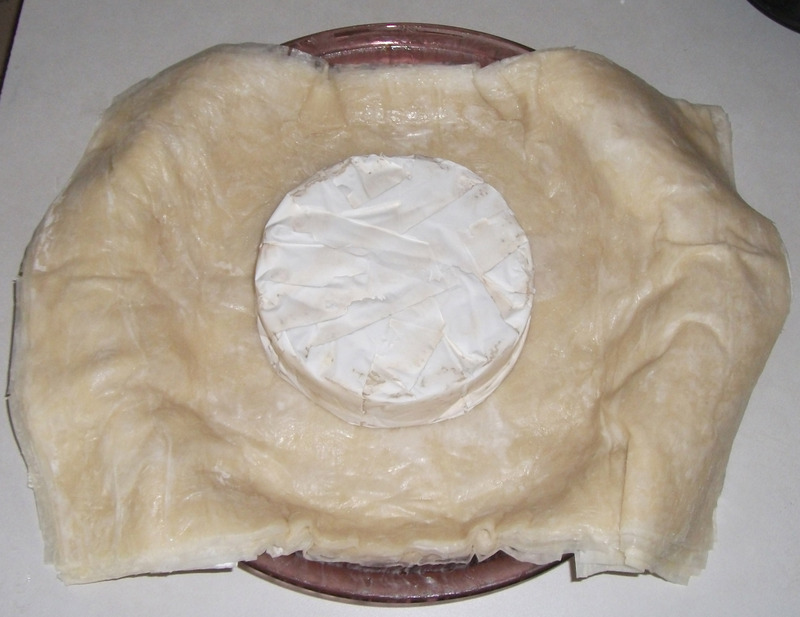 Place your brie wheel right in the center of the dough. There are differing opinions on whether to keep the rind on or not. I choose to keep it. It tastes too dang good to remove. 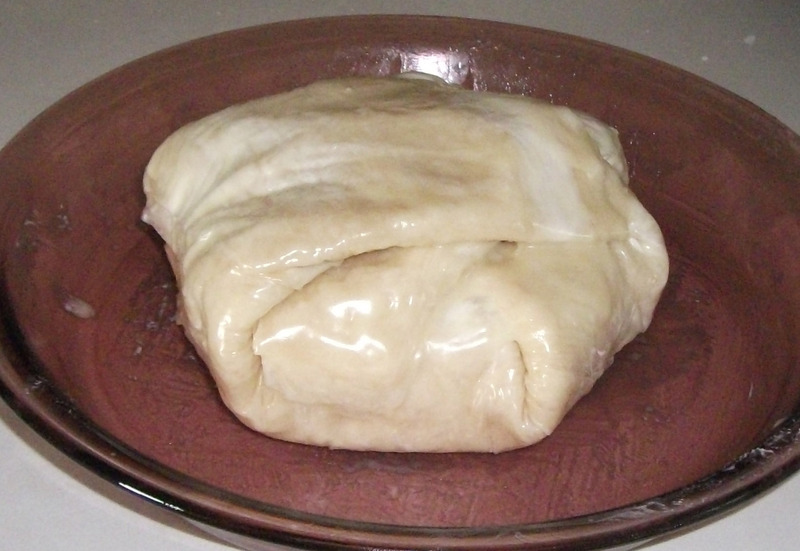 Bake at 375 for 10 – 15 minutes. Just as it gets to the point where it’s turning golden, pull it out and drizzle honey over the top. I drizzle until most of it is covered. Throw some walnuts (pieces) on top of that and then drizzle more honey over that. It’s really up to you how much. Stick it under the broiler and keep an eye on it. It only takes a few minutes to brown up the rest of the way, toast up the nuts and caramelize the honey a bit. Don’t let it burn, but you do want it to get a nice brown crust. Somewhere in that time you’ll want to cut up some fruit. I like a variety… there are so many combinations that you might not think would go well together, but you’ll be surprised. It will firm up as it cools and you’ll be cutting pieces more than dipping. 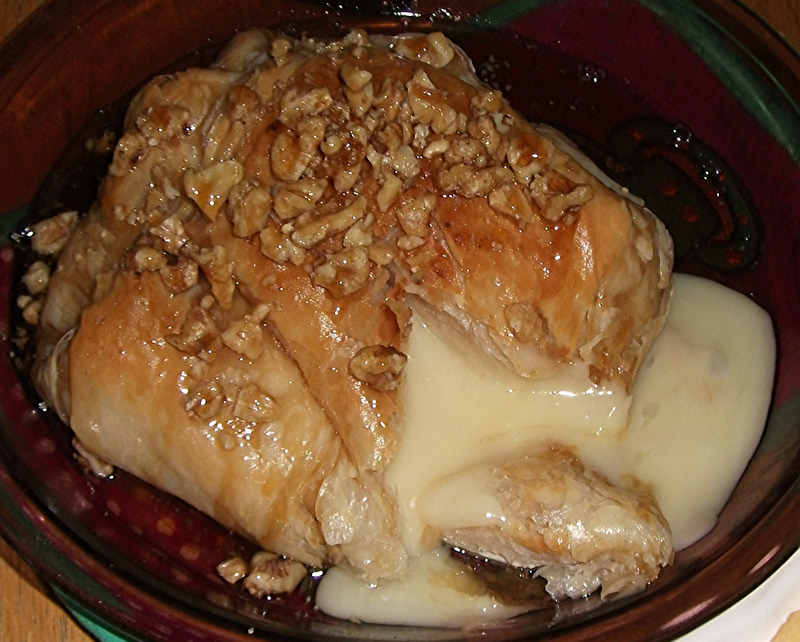 So many fruits pair well with the walnuts, buttery pastry, honey and brie. Try different combinations. Enjoy the experience. This is absolutely one of my favorite treats and there are a billion ways prepare baked brie… with and without crusts, sweet accompaniments, as a savory dish… endless I tell ya. Sounds like a compilation post is brewing. Hmmm and Mmmmm.